5 minutes and 5 ingredients gets you a super tasty salad that will brighten up your plate instantly. Beetroot is one of my favourite vegetables and I like to use it in lots of different ways – roasted, raw, in a risotto and even in a burger! 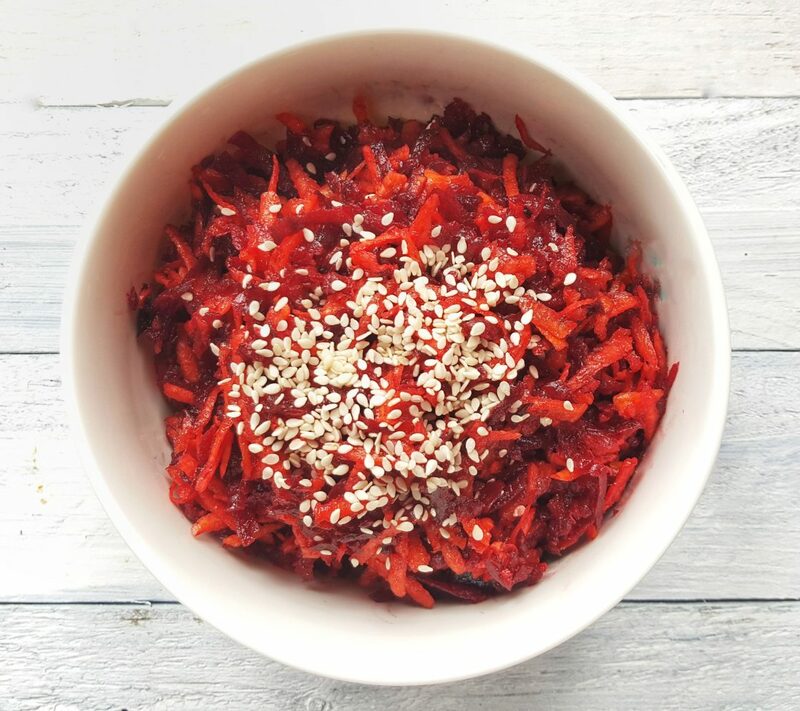 By combining raw grated beetroot with carrot you get a simple but very tasty salad. This salad is also great served alongside my Roast Pumpkin Pesto Wedges. Coarsely grate the beetroot and carrot into a mixing bowl. Stir through the balsamic vinegar, oil and seeds. Serve with another sprinkle of seeds on top.